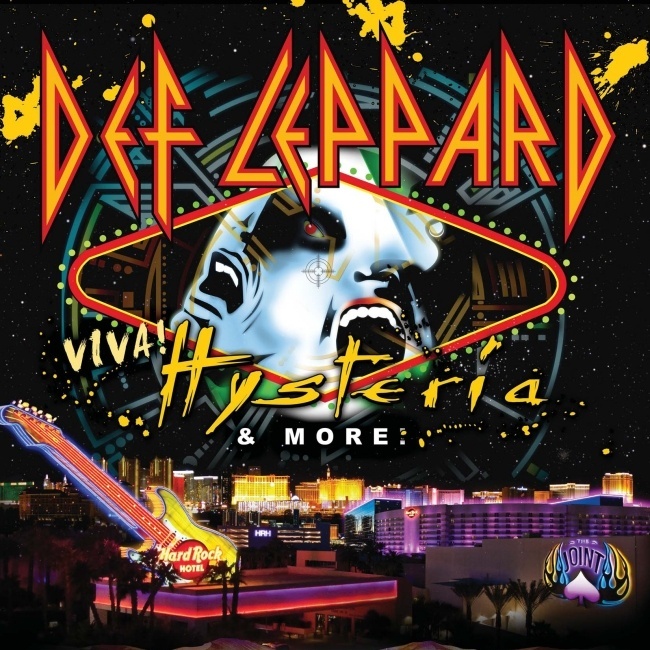 Def Leppard guitarist Phil Collen has been interviewed by Anti-Music about the VIVA Hysteria! residency in Las Vegas. Phil talked about the VIVA Hysteria! residency stage design, why they are playing Vegas, whether they'd play the residency elsewhere, why they aren't playing the 'Pyromania' album show, working with Mutt Lange in the 80s, Rick's accident, new music and his other band Manraze. The now 11 show run is 29 days away and kicks off on 22nd March at The Joint. "We're using the rig that we've used on the past few tours and we're still kind of finalizing things right now. It's not a massive place but big enough to put on a really good show. So we've got screens and we'll be doing the Hysteria album and sort of a greatest hits set as well so we're going to be playing for quite a good bit of time. We still haven't finalized everything but it will be all the bells and whistles and all the fun stuff. Maybe we'll even have some photos or videos from back in that time period - back in the '80s." "And as Def Leppard, we're going to be doing some writing when we're altogether at Vegas. I mean, it's probably going to be 2014 before anything comes out."